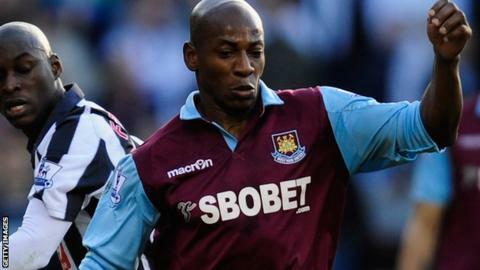 Former Arsenal, West Ham and Southampton forward Luis Boa Morte is on trial at League One Portsmouth. Boa Morte, 35, has 28 international caps for Portugal and had been playing Major League Soccer with Canadian side Toronto FC. West Ham paid £5m in 2007 for Boa Morte, who joins Hungarian midfielder Akos Buzsaky on trial at Fratton Park. Meanwhile, defender Josh Thompson suffered an ankle injury in training and could be out for six weeks. Pompey manager Michael Appleton also confirmed that striker Luke Rodgers is set for a lengthy lay-off. But Appleton, whose entire squad are on one-month deals, says he is hopeful of being able to sign at least two players on loan before Saturday's game.